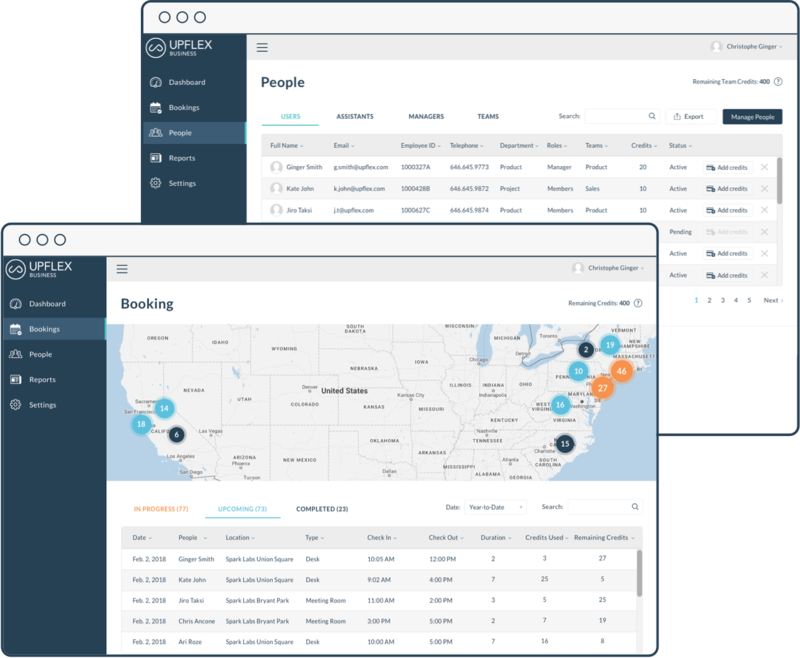 Easy-to-use, intuitive interface for employees to book spaces anywhere, anytime. 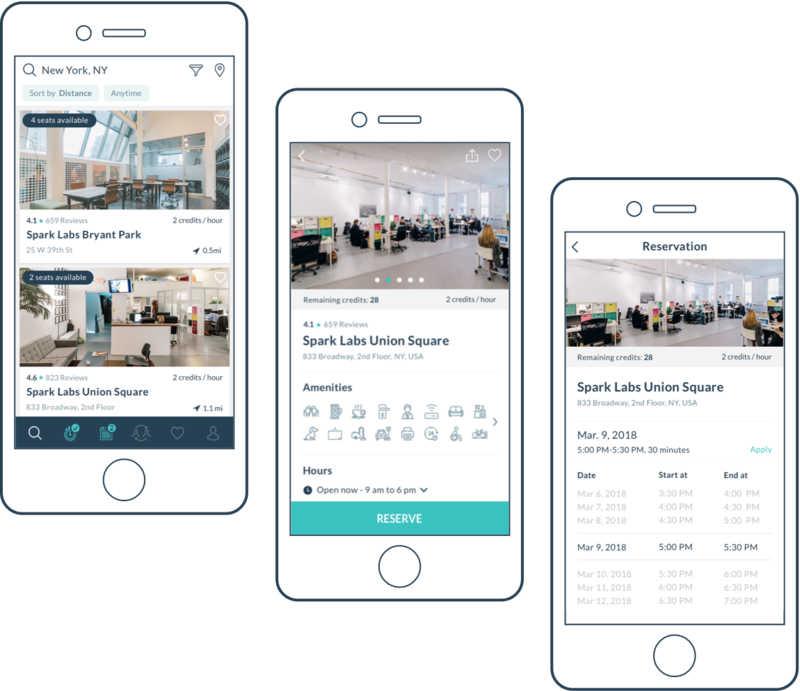 With one app, your team members and employees can find a space near where they are, or where they need to be. Teams can find the perfect desk, private office, or meeting room for as many people they need. Book ahead of time or on the go. 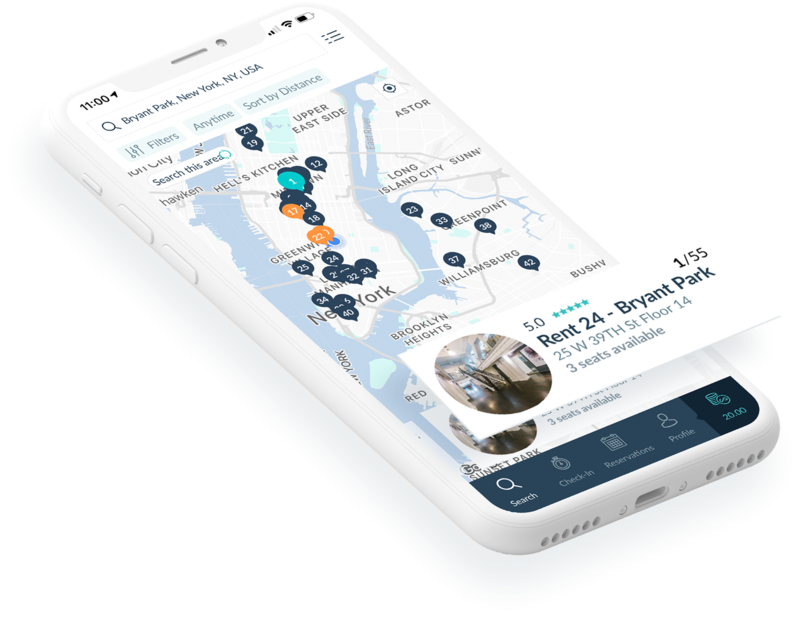 Once the space is booked, employees can easily share their location for a meeting or grab lunch with their colleagues, extending company culture outside the office. Upflex provides complete oversight of all activity, billing management, and custom flexibility plans for each team. Track bookings, time used, and see who’s working where and when. Eliminate timely, costly expense reports and stay on-budget. Gather valuable information and gain insight about employees, allowing you to make smart, data-driven decisions. Upflex can integrate key information points and analytic information into most existing Enterprise Solutions, to add value to comprehensive workforce reporting. 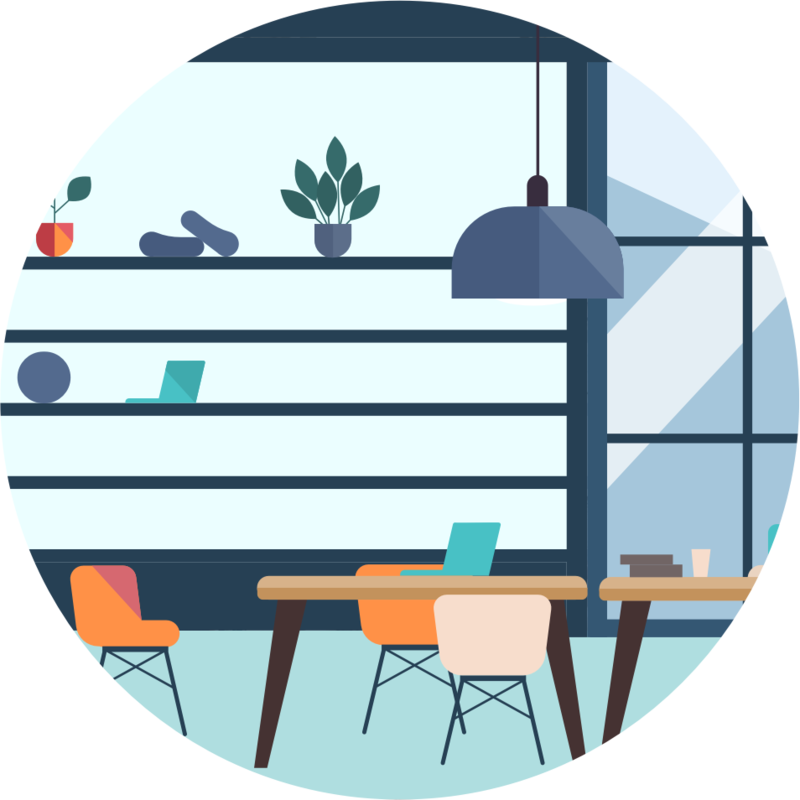 Curated with business in mind, our network of workspaces is constantly growing. Our accredited network of workspaces leaves you confident every space is optimized for work. Teams can feel secure knowing the spaces they visit have secure, business-grade Wi-Fi. Upflex spaces have a vibrant community waiting to meet your teams. Engaging with other professionals leads to new opportunities.